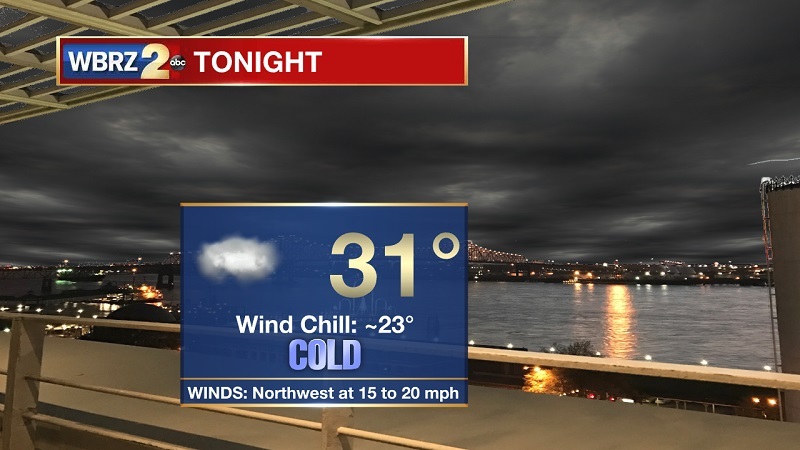 Tonight and Tomorrow: A frigid night ahead, as mostly cloudy skies will stay overhead. Temperatures will continue to plummet into the 30s by 10 PM, on our way to an overnight low of 31°. Winds will continue to stay elevated as well, allowing for wind chill values to drop to around 26° into Sunday morning. Winds will begin to slow to around 10 mph from the northwest on Sunday, keeping temperatures cool and highs near 48° under sunny skies. Up Next: Dry and sunny conditions through the start of the workweek, but showers initiating Tuesday afternoon, turning more scattered on Wednesday, before drying through the early morning hours on Thursday. Another system is poised to move in over the weekend, potentially bringing a return to freezing temperatures on Sunday and Monday. 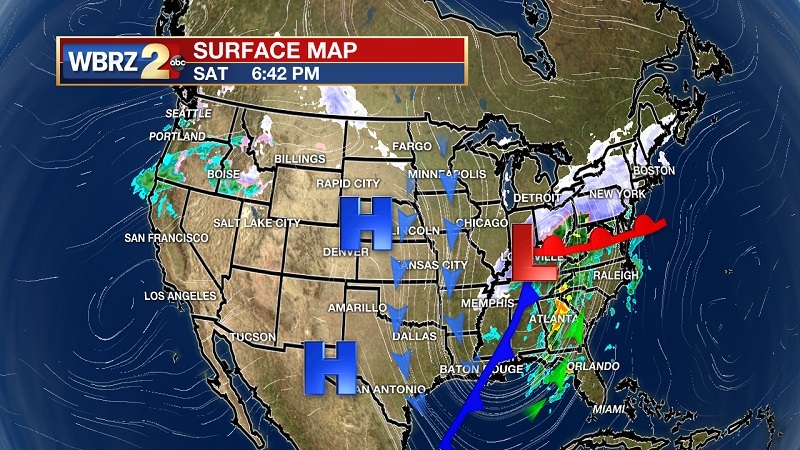 The strong system that is dumping various forms of precipitation across the Eastern Seaboard is keeping cloud cover overhead our area through Saturday night. 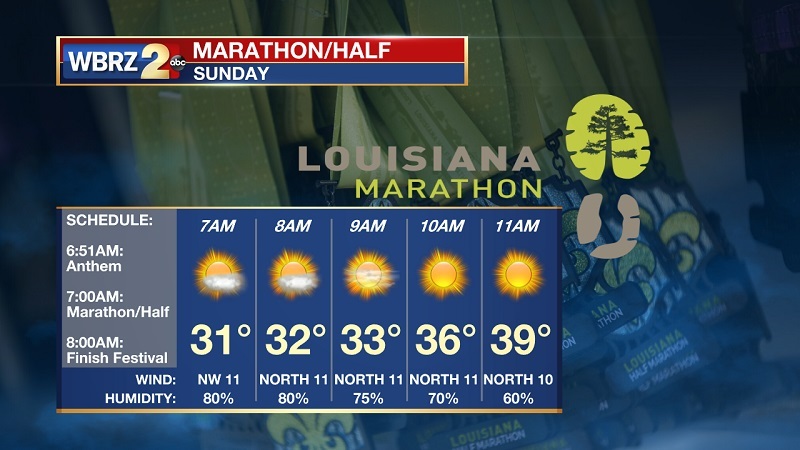 Temperatures will stay cold into Sunday, but cloud cover will be breaking early in the morning. Plenty of sunshine through your Sunday, but it will not do much in terms of warming. Temperatures will be breaking into the 40s by 11 AM, with a high of 48° through the afternoon. Clear skies and slowing wind speeds on Sunday night will provide even colder conditions than on Saturday night, as lows drop to near 29° into Monday morning. Temperatures slowly increasing through the beginning part of the week, as a frontal system will be moving in on Tuesday afternoon. This system will be stalling through the midweek, peaking shower activity on Wednesday, with lingering showers early Thursday morning. No storm threat will be associated with this front, as it will be losing momentum and strength as it dips along the Gulf Coast. High pressure briefly returns Thursday and Friday, before another system drives in from the northwest. 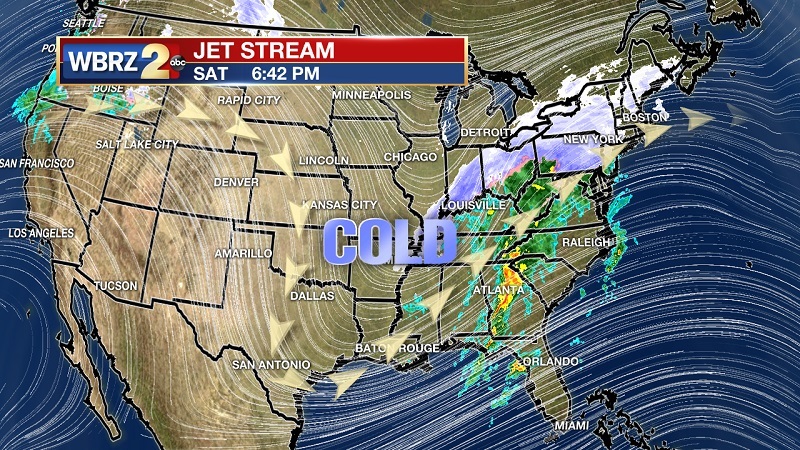 This system will be similar to the one the weekend before, pushing the jet stream into the Gulf in order to bring freezing temperatures back across Louisiana and Mississippi.